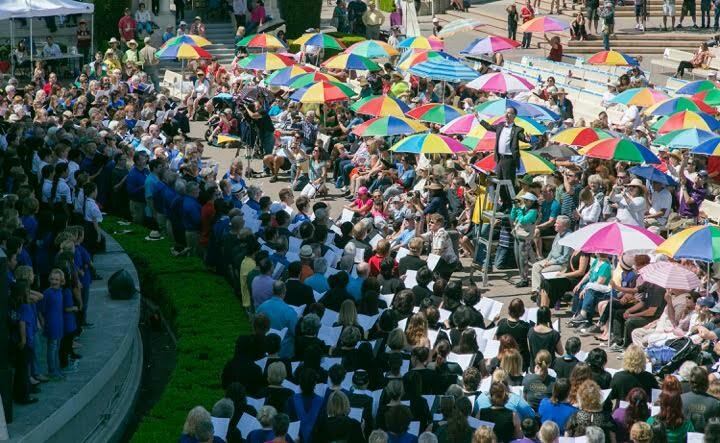 Two years after making its debut as part of Balboa Park’s centennial celebrations, the San Diego Sings! Festival will return on Saturday, March 25, 2017, from 11 a.m. to 5 p.m., at Spreckels Organ Pavilion in Balboa Park. San Diego Sings! Festival 2017, planned and presented by the Choral Consortium of San Diego, will feature 22 of the top choral groups in San Diego County performing by turn in a free concert, then joining together (more than 1,000 voices) to perform “The Gift of Singing” by living California composer Kirke Mechem, conducted by San Diego’s legendary choral conductor, Dr. David Chase. The first event, in 2015, presented the largest number of singers performing a choral piece together live on stage in San Diego’s history, and this year’s festival should match that spectacle. Diego’s choral groups with this one-of-a-kind event,” said Choral Consortium President Carol Manifold, co-chair with Sally Dean, Artistic Director of San Diego North Coast Singers. DAY LONG FESTIVAL: Featuring a wide variety of choral performances and combined choirs (1,000 Voices) for “The Gift of Singing” by California Composer Kirke Mechem, conducted by Dr. David Chase. Kirke Mechem is a prolific composer with a catalogue of more than 250 works that have been performed in more than 40 countries. Born and raised in Kansas and educated at Stanford and Harvard universities, Mechem conducted and taught at Stanford, and served as composer-in-residence for several years at the University of San Francisco. 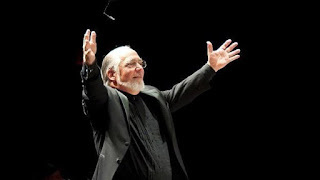 He has been honored and recognized for his contributions from such organizations as the United Nations, the National Endowment for the Arts, the National Gallery, the American Choral Directors Association, and the Music Educators National Conference. He was presented with a lifetime achievement award from the National Opera Association. The Choral Consortium of San Diego is an all-volunteer grassroots 501( c )3 nonprofit organization, formed in 2010 to support local choral groups and promote choral art in San Diego. It currently has over 40 member choirs. San Diego Sings!, their largest, most public event, takes place every two years. For more information, please visit choralconsortiumofsandiego.org.